Brandon Rudd created the Cooper’s Pack concept and characters after returning from a trip to Japan and Thailand in 2003. After sketching the original New York City book idea in one afternoon, he didn’t realize it but his life was about to change. 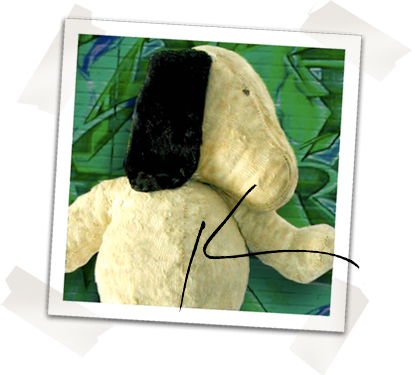 Brandon began designing stuffed animals, creating logos and inventing back-stories for the cast of characters. Drawing on his years of entrepreneurial ventures, Cooper slowly came to life in a world of stuffed animals traveling around the world, city by city. Luckily his passion for travel coincides with inventing Cooper’s world—from photography, writing each story, exploring a new city, meeting new people and finding unique adventures to include in each book. Brandon has been writing his entire life and got his start when his 4th grade teacher on Bainbridge Island submitted Brandon’s story to a Young Author’s Conference. Through this experience Brandon continued on a path of a young aspiring author creating the Winslow Advertiser (an advert circulated on Bainbridge Island), Exhibition (a visual and literary arts magazine published on the island featuring many famous authors and artists including Brandon’s teacher, David Guterson), and DB-Ski (a ski bus servicing the island community for four years. After securing his MBA, he founded Artistic Resources & Technology in 1996 (digital signs, wearable televisions, graphic design services, and even producer roles in Las Vegas shows). When not traveling, Brandon resides in Seattle, Washington and is usually found planning his next great adventure. Some of his favorite activities include boating in the Puget Sound and San Juan Islands, traveling (of course), collecting Alaska Airlines air miles to fly first-class to the farthest destinations and meeting new people.